1 Feb 2017 Washington, D.C.
Trump’s order, among other things, seeks to force state and local authorities to actively enforce federal statutes. The conservative legal movement has given that part of the order’s foes some powerful legal weapons. A 1997 case, Printz v. United States, says that the federal government may never order local officials to enforce federal law; the famous 2012 Affordable Care Act case, National Federation of Independent Business v. Sebelius, says that the government cannot use the threat of large funding cuts to “coerce” states into adopting federally demanded policies. The order seems to implicate both constitutional rules. The premise of The Atlantic’s argument claiming Trump’s order is forcing localities to enforce federal law is not particularly accurate. Rosemary Jenks, Director of Government Relations for NumbersUSA, says Trump’s order on sanctuary cities does not mandate state and local authorities to deport illegal immigrants. Rather, it mandates that state and local authorities not obstruct the Immigration and Customs Enforcement (ICE) agency’s job in deporting illegal immigrants. “The executive order doesn’t say they have to enforce federal immigration law, it just makes sure they don’t block federal immigration law,” Jenks told Breitbart Texas. The magazine uses the same 1997 Printz v. United States case to claim that state and local authorities will be made to help deport illegal immigrants alongside federal immigration officials. This is a kind of linguistic wormhole—state and local “entities and officials” can’t give instructions to other state and local “entities and officials” limiting the information. Thus, by its terms, a city council cannot adopt an ordinance forbidding the police from notifying U.S. Immigration and Customs Enforcement that they have arrested an alien who may be undocumented. A number of cities have rules against such notifications; but the order sweeps in much more. By its terms, Chief Daniels can’t tell Officers Bunk and McNulty not to notify ICE even in a particular case (say of an undocumented alien who is also a key witness in an ongoing investigation). Bunk and McNulty can’t tell the booking sergeant not to do it even if they want the witness to stick around. The booking sergeant can’t even tell the janitor not to do it. This brings us to Printz. Under the Brady Handgun Violence Prevention Act of 1993, all purchasers of hand weapons are supposed to receive a background check before buying a gun. However, when the bill took effect, the planned federal database for gun dealers (which was supposed to reveal criminal records or mental illness, etc.) was not ready; so the bill temporarily assigned the duty of conducting a check to the “chief law enforcement officer” of each city or county, who was required to send the information produced to the federal government. That meant that two rural Western sheriffs, Jay Printz and Richard Mack, were required by federal law to spend time and effort digging out the criminal and other records of prospective gun owners and reporting them to Washington. “Even if state and local authorities aren’t prosecuting a crime, they’re not obstructing the federal government on who is committing the crime and who’s responding to that,” Jenks said. In this logic, the magazine says ICE is not a court and the detainer from ICE to local authorities is not probable cause. The Atlantic completely rules out that entering and staying in the U.S. is a crime, and if an illegal immigrant re-enters the U.S., they could be charged with a federal crime. 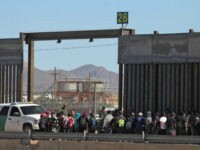 Therefore, ICE uses the probable cause that an individual is an illegal immigrant to demand local authorities keep the suspect detained, and as the Federation for American Immigration Reform (FAIR) notes, any illegal immigrant in the country is deportable under the Immigration and Nationality Act. In regard to Trump’s order cutting federal funds to sanctuary cities for obstructing federal immigration law, The Atlantic cites a United States Supreme Court decision on Obamacare, where Chief Justice John Roberts asserted that “federal government can’t change the conditions for grant programs” if those conditions threaten other independent grant programs. The magazine also notes the decision declared that the federal government cannot “penalize States that choose not to participate in that new program by taking away” existing funds. 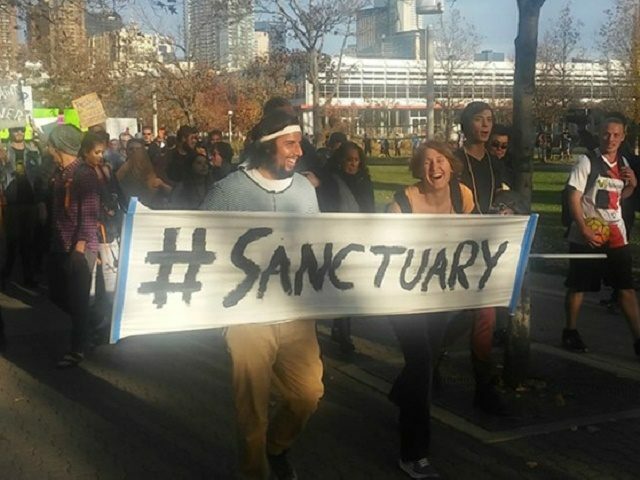 Already, the sanctuary city of San Francisco has said it will not comply with Trump’s executive order, risking federal funds in order to shield illegal immigrants, as Breitbart California reported.